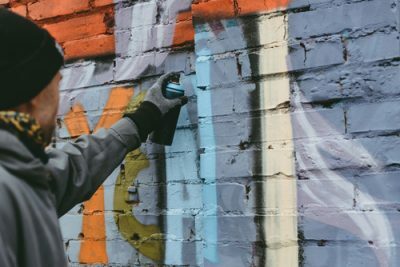 Tucson, Arizona—The city of Tucson invites artists to create murals for downtown Tucson. The city is in the process of implementing Tucson Mural Arts Program. The project is going to be implemented with the coordination of the Tucson Arts Brigade. The murals are going to reflect the diversity in style and culture. The program is supported with a combined donation of $40.000 from the Tohono O’odham Nation and Visit Tucson. The program will change the overall picture of the city, particularly downtown area. According to officials, the program is aiming at enriching the Downtown Tucson experience both for residents and visitors. The task of the program is to choose up to three mural presented by three individual artists, or a team of artists collaborating together. According to state release, the responsibility of each artist will be the preparation of the wall surface. That will include preparing the wall for the mural by power washing and removing the chipping paint. The proposal submissions should be sent to the email COTMuralProgram@gmail.com. The deadline for submissions is September 28, 2018. The winners will be selected by October 8 and the murals must be completed by November 30, 2018.